The Wild West has made legends out of many men, and some of them, like Wild Bill Hickok and Jesse James, were celebrities during their lives. Indeed, the history of the West is often taught as though it was a history of larger-than-life figures like Annie Oakley, Calamity Jane, Billy the Kid, Wyatt Earp, Doc Holliday, and several other men and women, some good, some bad, and many in between. Their actions have helped forge America’s common heritage. While these figures are still popular today, they didn’t live, fight, and die in isolation; they all had networks of friends and part-time associates, people who helped them escape from jail or capture wanted felons. Of course, these people also stood in their shadow. Western lore has given them the dismissive name of “sidekicks”, but a closer look reveals that these lesser-known figures lived colorful lives of their own. This book profiles 4 of the most important but forgotten sidekicks of the West, from Sherman McMaster, who participated in Wyatt Earp’s Vendetta Ride in the wake of the Gunfight at the O.K. Corral, to Doc Scurlock, who was an outlaw alongside Billy the Kid. 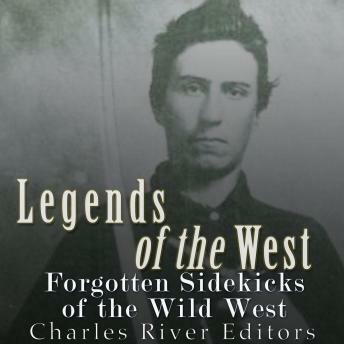 Legends of the West: Forgotten Sidekicks of the Wild West traces the history of some of the important figures in the West and the roles they played in some of history’s seminal moments.